While it may not be as popular as some of the better-known destinations in Southeast Asia, Laos delivers an authentic and unforgettable experience that you won’t soon forget. 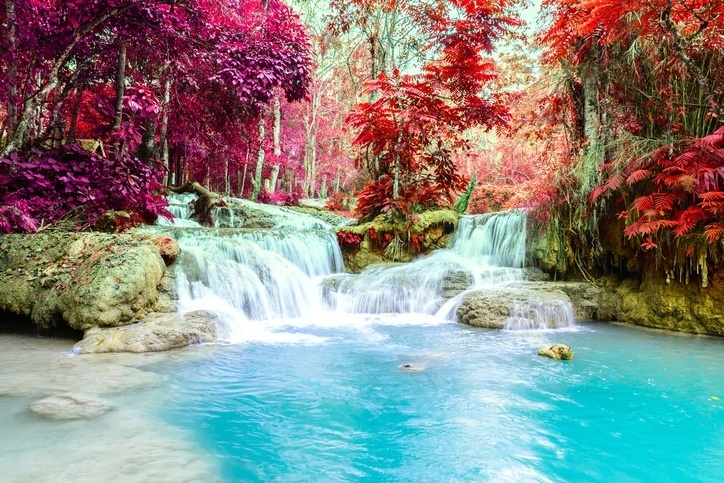 Laos is a landlocked country located in Southeast Asia on the Indochinese peninsula. It borders Thailand to the west, Cambodia to the southwest, Vietnam to the east, and Myanmar and China to the northwest. November through to May is the dry season, and therefore generally the best time to go. 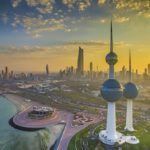 November to February are generally the most comfortable months to visit. It can be tough getting around in some areas during the rainy season, however it is still viable if you want to tough it out. Depending on where you fly into, you could potentially book a round trip from Toronto to Laos for close to $1000 Canadian (generally speaking, this will be to Vientiane). Be sure to look around, as there can be cheap deals to nearby countries and cities (like Bangkok). Getting around Laos is pretty affordable and there are a fair amount of options. You can fly if you’re short on time (it’ll cost more), take boats down the river, bus throughout cities, or get a driver/drive a rented car. 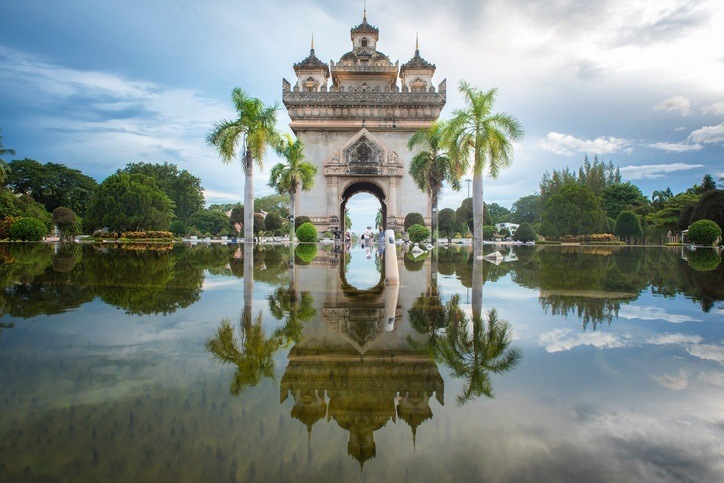 As the capital of Laos and it’s largest city, visitors here might be expecting a bustling, frenetic metropolis akin to nearby Bangkok. Instead however, Vientiane is a largely laid back, but still fun and enthralling place. The colonial architecture that characterized French rule remains, with many of the buildings converted into phenomenal restaurants. There are quaint shops, Buddhist temples, parks and greenery, and so much more. Vientiane is, all in all, an excellent and varied destination to start your Laotian getaway. 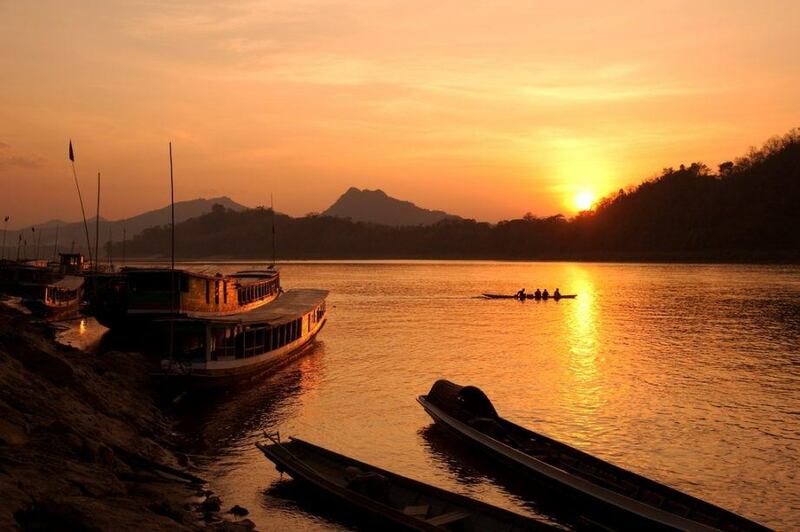 The most popular destination for tourists in all of Laos is the city of Luang Prabang. It is renowned for the numerous temples and architectural/religious heritage, with no less than 33 wat included in the UNESCO World Heritage listing. These are the main reasons to visit Luang Prabang, however it’s not all historical here. In recent years the city has grown and now welcomes great restaurants, modern hotels, and other amenities to make your stay easier and more enjoyable. This is one place you can’t leave off the list! A few hours from Vientiane is the town of Vang Vieng. Located on the banks of a river, it is famous for the karst hill topography surrounding the cluster of buildings. However, for many years the real draw was the no limits, dangerous, and over the top rave/party scene that drew tourists from all over (for better or worse). Recently, the bars on the river have been shut down with the partiers moving to the outskirts. Now, Vang Vieng is an excellent adventure tourism hub with the river and mountains offering some great escapes. 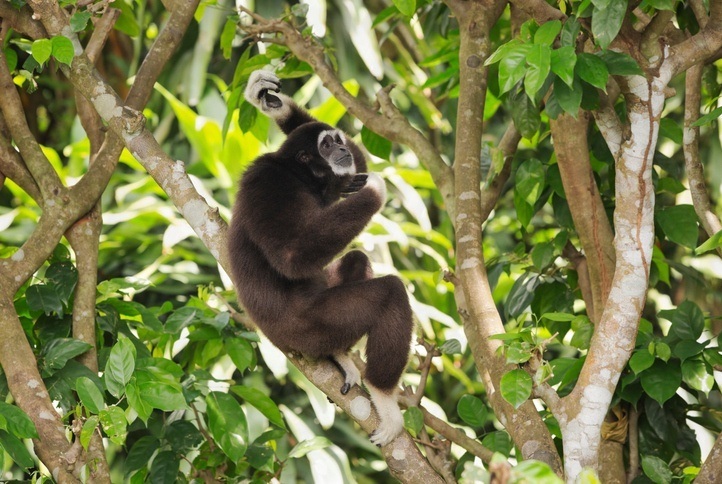 The Bokeo Nature Reserve exists to protect the endangered black-cheeked gibbon. Once believed extinct, these apes were recently rediscovered and, if you’re lucky, can be spotted while on an excursion to the reserve. You can stay in canopy hugging tree houses, zip line through the forest, trek up to a waterfall, find other animals such as elephants, and more. 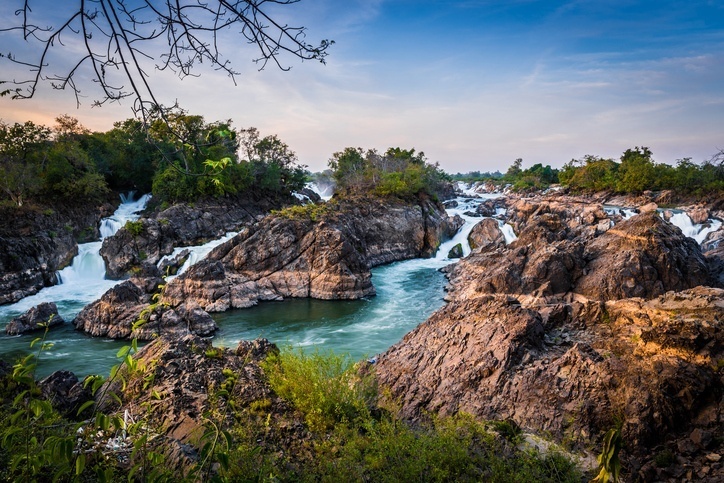 It’s a great location that shows off Laos’ commitment to conservation, and is worth a look for environmentalists, wildlife enthusiasts, and curious tourists alike. Translating to ‘4000 islands’, Si Phan Do is an archipelago of, well, thousands of islands. Since Laos is landlocked however, these are all found in the famous Mekong River. Some are underwater depending on the water level, but there are still many that can always be visited. This is an idyllic retreat that will enchant visitors with charming vistas and the slow pace of life. You might even see freshwater dolphins, while bungalows, boats, and kayaks can be rented to explore the area. Want to really get a taste for rural Laos? Phonsavan, which means ‘hills of paradise’, is a great place to do just that. Here, the Hmong people raise cattle and lead them through the fields, hills, and cottages. There’s also the Plain of Jars; strange archaeological megalithic structures (Stonehenge would be the best example of this) that resemble…jars. It’s a peaceful and quaint landscape, that isn’t far off the American Old West or the gaucho culture still found in Argentina and Uruguay. The majority language is Lao, which is very similar to Thai. French is also very widely spoken still, with many signs written in both languages. English is becoming more widespread as well, though learning some Lao and using French is recommended. Laos is a pretty cheap place to visit, with an average day’s expenses coming out to about $38 Canadian – including $15 for accommodation and $15 for food. Thrifty travellers could even get costs closer to $15 for the whole day. While there is no nationwide advisory for Laos, a high degree of caution is recommended by the Canadian government throughout due to crime and unexploded landmines (more on that later). In addition, the province of Xaisomboun should be avoided all together due to the fragile security situation. Crime, both petty and sometimes violent, does occur in the cities. You should also be aware of sexual assault, which has been reported in urban areas of Laos. Unexploded landmines are found off the beaten path, so always stick to marked routes (especially around the Plain of Jars). Driving can be dangerous thanks to local practices, lack of lighting, and poorly maintained roads. 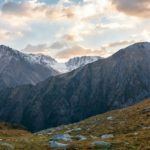 Be careful if taking part in adventure tourism and don’t participate in something outside your skill level. For more on travel safety, check out the Canadian Travel Advisory for Laos. For more information, check out the official Laos tourism site. You can learn more about Laotian history and culture in the Country Profile as well as the Lao kip with our Currency Spotlight.